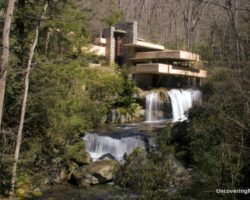 Without a doubt, one of my favorite places to visit in Pennsylvania is Ohiopyle State Park, and while I’d made many past visits to Ohiopyle, white water rafting was something I hadn’t had a chance to try until recently. There is a long tradition of rating in Ohiopyle, PA. 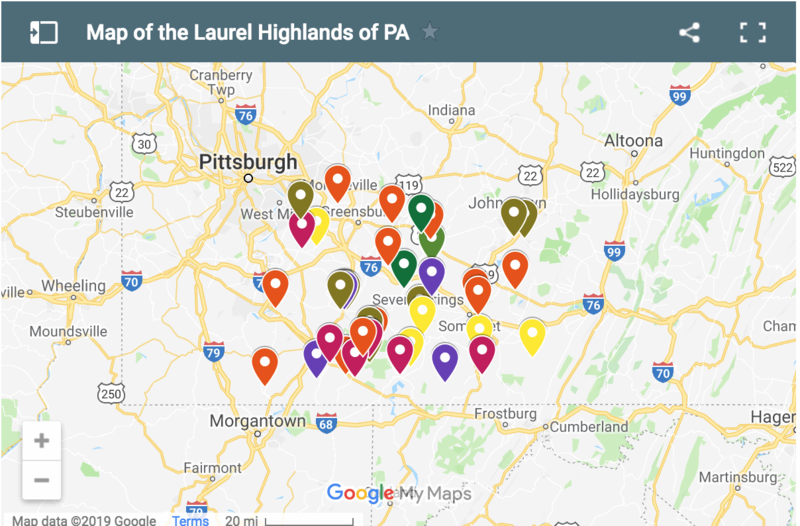 In fact, the first commercial white water rafting operator on the east coast began, and still operates, along the Youghiogheny River in this portion of Pennsylvania’s Laurel Highlands. Today, there are four companies that offer white water rafting in Ohiopyle. 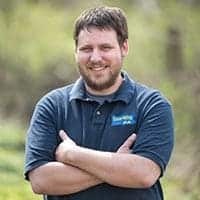 During my visit, I was invited to try rafting out for the first time with White Water Adventures on a rafting trip they did in conjunction with Laurel Highlands River Tours. White water rafters on a calm section of the Lower Yough. 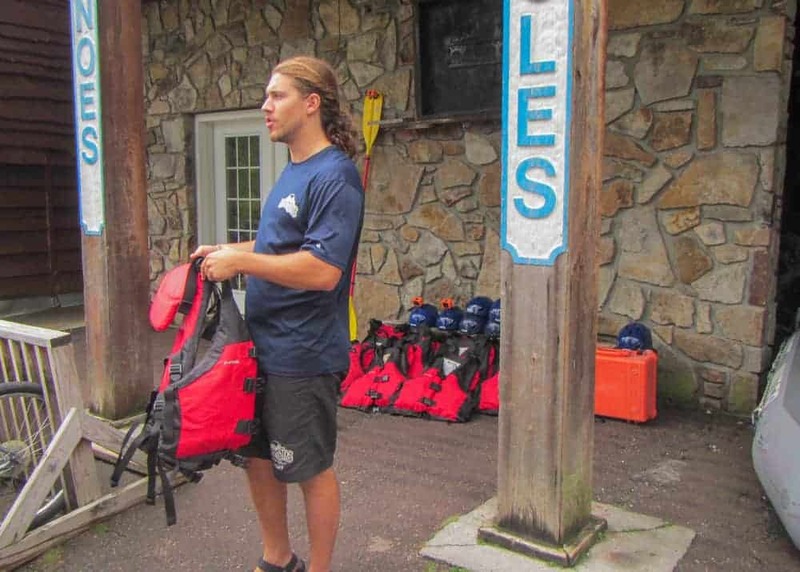 After signing a waiver, we were given helmets and a life jacket, both of which were required while on the tour. Once we were suited up (don’t wear any cotton as you WILL get wet while rafting), we were given a quick overview of our plan for the day. While our original plan was to go on a Lower Yough rafting trip, we all agreed that the massive amount of recent rain had made this trip a little to gnarly for our group filled with mostly first-time rafters. Instead we opted to tackle the 11-mile Middle Yough from Confluence to Ohiopyle. 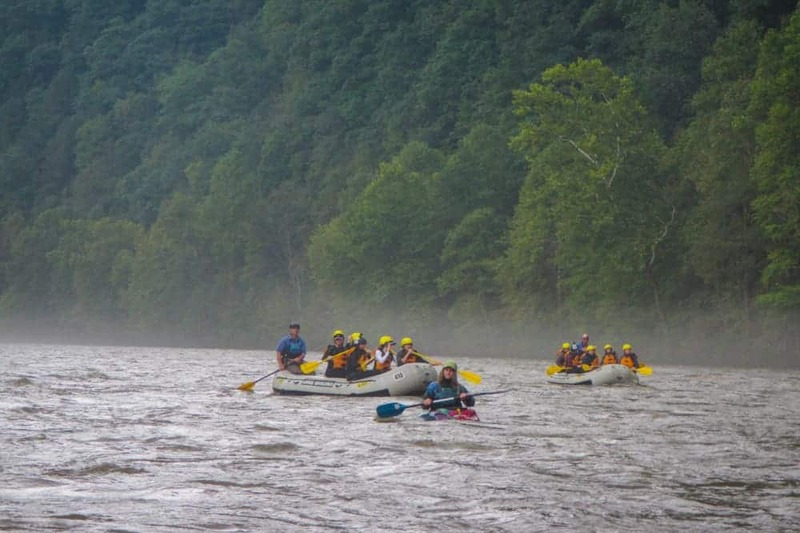 The Youghiogheny River (known locally as the Yough) is divided into three sections for white water rafting. Since the river flows north, the Upper Yough is actually the southernmost of the three sections and is located in Maryland. 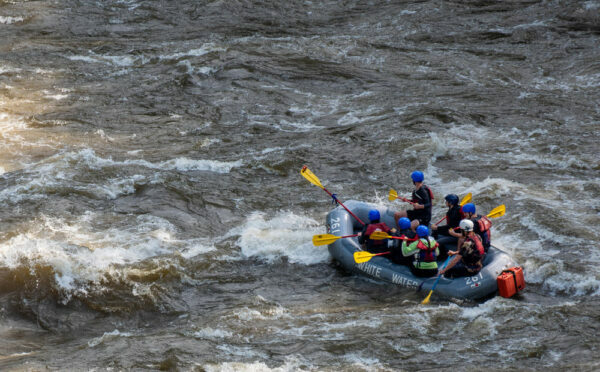 Given that this section features primarily Class IV and V rapids, that section is only for experienced rafters. The Middle Yough, which we tackled, features Class I and II rapids along with long stretches of calm water. 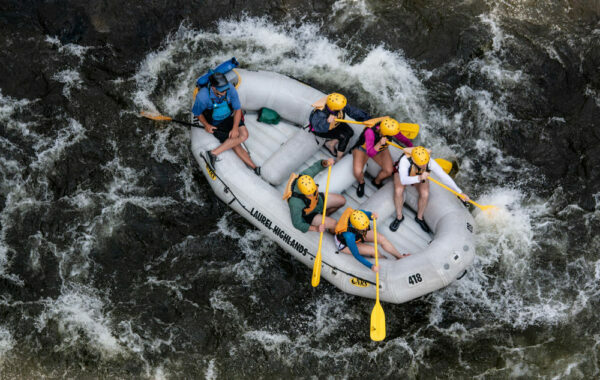 If you’re like me and have both never rafted before and are not an adrenaline junky (or if you’re traveling with kids), the Middle Yough is a perfect introduction to white water rafting in Ohiopyle. 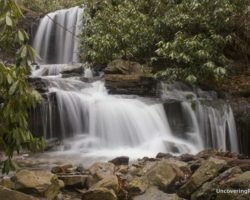 The Lower Yough is a 7.5-mile journey starts just below Ohiopyle Falls and features Class III and IV rapids. 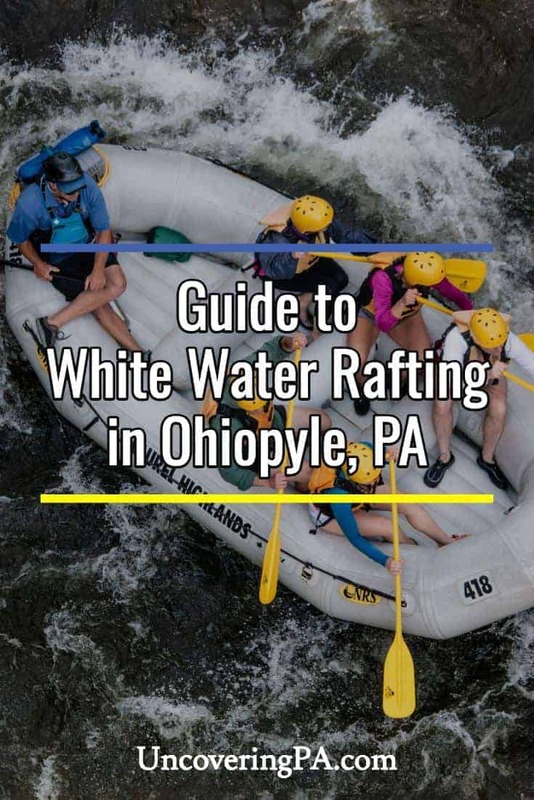 This is definitely the most popular of all the Ohiopyle white water rafting trips and is a good choice for either those that have rafted before or adrenaline junkies. Entering a few small rapids on the Lower Yough. Our trip along the Middle Yough started with a 20-minute van ride to a launch just outside of Confluence along the Great Allegheny Passage. Before setting out on the trip, we went over a bit of information on how to paddle and what we would be experiencing along our trip. 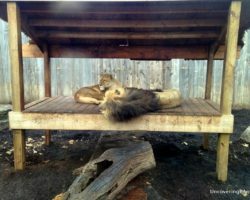 Throughout the trip, I was very impressed with our guides as they went out of their way to make sure we had a great and a safe time. 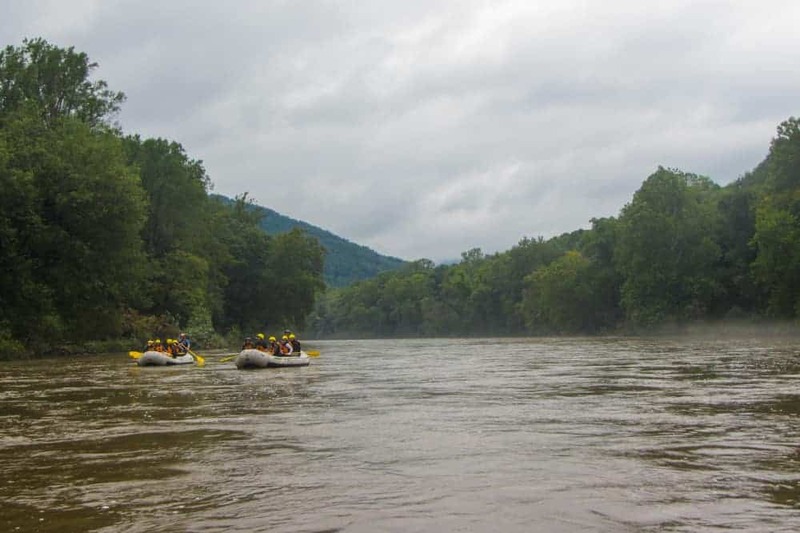 While the Middle Yough is the calmest section of rafting in Ohiopyle, the largest rapid of the trip is just downstream of the launch area. While this was a bit intimidating going in, it ended up being a lot of fun and a quick introduction to the joys of white water rafting in PA. Overall, most of the action on this section of the river happens within the first few minutes and the last few minutes of the trip, though, there are a few other sections of smaller rapids, especially if water levels are higher. Due to the high water levels, our trip just a little over two hours. However, the Middle Yough takes the better part of a day to complete if water levels are at normal levels. In reality, this portion of the river is more of a float trip with a few easy rapids that will give you a nice taste of what it’s like to go white water rafting in Ohiopyle State Park. 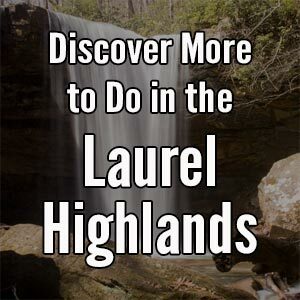 Nevertheless, this is a great trip that offers opportunities for wildlife watching, enjoying the incredibly beautiful scenery of the Youghiogheny River Valley, and even a few chances to go for a swim if you’d like. For a first trip white water rafting, I really had a great time rafting the Youghiogheny River. While I don’t know that I’m any braver than I was when I first went, I really glad to have had a chance to finally try white water rafting in Ohiopyle. No matter what your level of experience or courage, there’s definitely a great Ohiopyle rafting trip that’s perfect for you. You will get wet. Dress accordingly, preferably with no cotton, and have a change of clothes in your car. Don’t bring anything with you that can’t get wet or lost. That includes phones and cameras that aren’t waterproof and tethered to you. 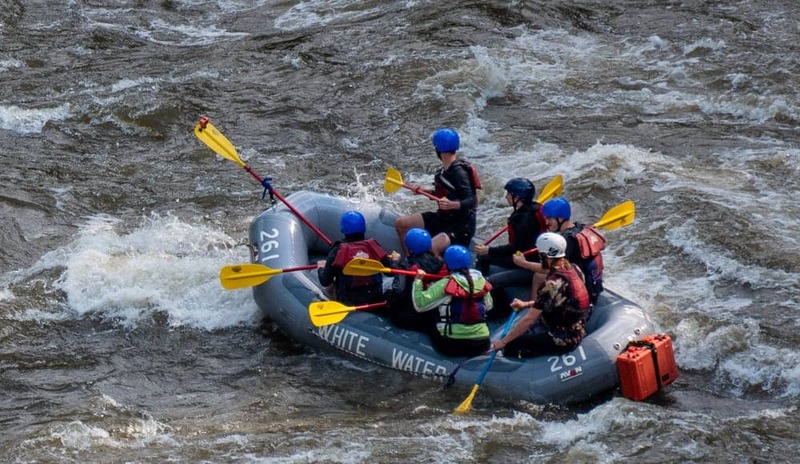 There are four companies that offer white water rafting trips in Ohiopyle, PA. All offer roughly the same trips for approximately the same price. I went with White Water Adventures and had a great time. Water levels can dramatically effect the size of the rapids and the time it takes to complete your trip. Make sure to plan accordingly if water levels are especially low or high. Trips typically run from April through October, though exact dates may vary. 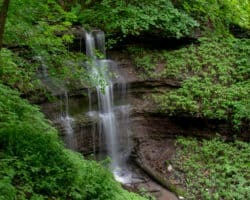 Don’t miss the other great features of the park, including many great waterfalls. 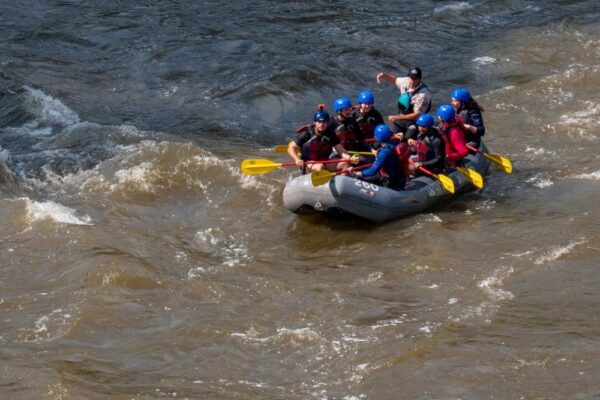 As noted above, my Ohiopyle rafting trip was hosted by White Water Adventures. However, the opinions expressed are my own. Thanks for a great article. I’m glad that the water levels were high for you, which made for a great trip. I have done the Middle Yough twice when the levels were normal, and I would not recommend it for normal or low conditions. We got stuck numerous times on the many rocks, and it took almost five hours. Also, under normal conditions, you will be paddling most of the time or getting out of the raft and pushing it over the rocks when you get stuck. The water level makes a big difference in how much you will enjoy the trip! It would have a been a very different trip if the levels were low. Still, for those that want a small taste of white water rafting or those with kids, I think it’s a great choice. I agree that with kids that you don’t want something too rough. Try it sometime when the levels are low to see what I experienced. We had both kids and adults in our group. Without two strong adults constantly getting out of the raft to get us unstuck, we would have never made it. A few times, it took close to 10 minutes to become untangled from the rocks that we were stuck on. The adults who had to keep getting out of the raft were exhausted by the end. Also, it is very difficult to get back in the raft once you get out. I feel that the rafting companies are not forthcoming about what you will deal with under normal or low conditions. Thanks for the information. Having only done the middle Yough when water levels were pretty high, I can only go by what the guides told me it’s normally like. They did mention that if water levels are low enough, you do have to get out sometimes. Probably best to do the Lower Yough rafting trip when levels are low if you are looking for excitement.